Hello heat, goodbye split ends. Introducing ghd advanced split end therapy, activated by the heat of your styler to help nourish and fortify damaged ends, leaving your hair feeling sleek, smooth and shiny for up to 10 washes. Scientifically formulated for all hair types, ghd advanced split end therapy contains a blend of nutrient rich ingredients that help to defend you hair against daily styling and environmental stress. Utilising a propriety Thermo-Marine Bonding System, this treatment fills and binds broken hair fibres together, instantly repairing split ends while the Super Nutrient Complex prevents future breakage by surrounding each strain with a protective coating. Leaving hair feeling stronger and looking sleek and shinier. 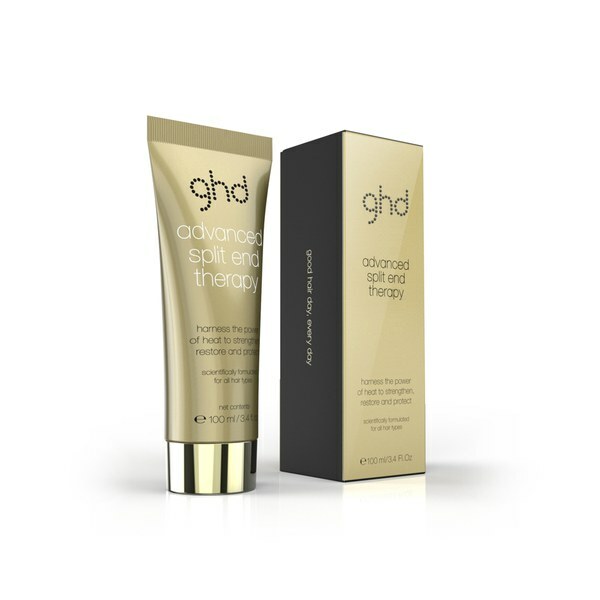 Buy ghd Advanced Split End Therapy 100ml on-line today at Riah Hair.